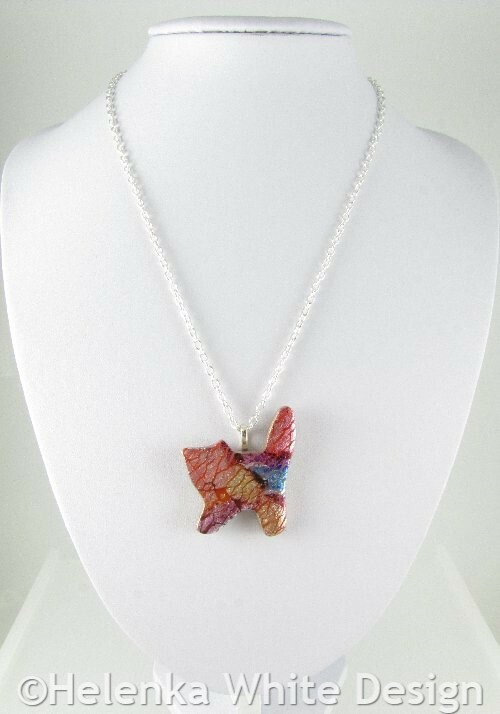 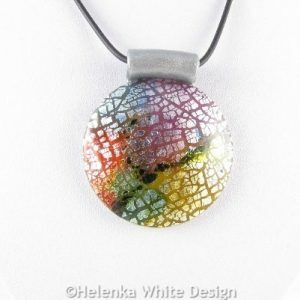 DIchroic jewellery is normally associated with glass – but you can mimic the technique with polymer clay. 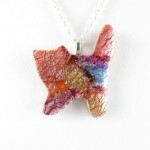 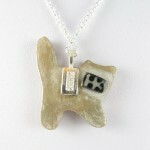 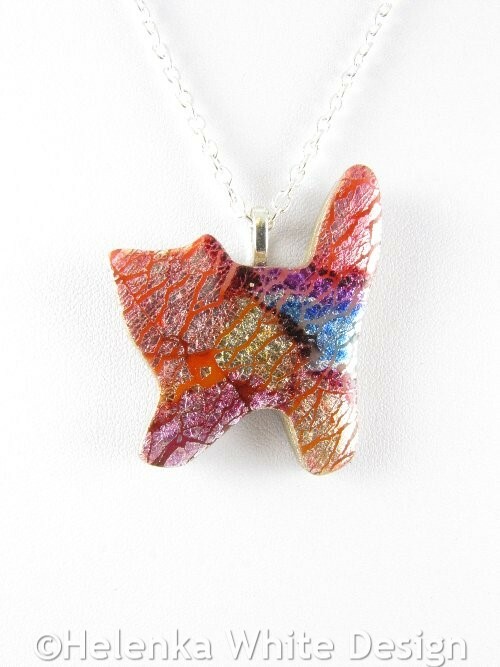 This standing cat pendant in purple, red, blue and yellow would make a great gift for cat lovers. 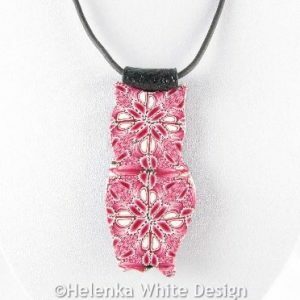 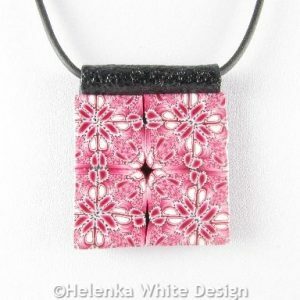 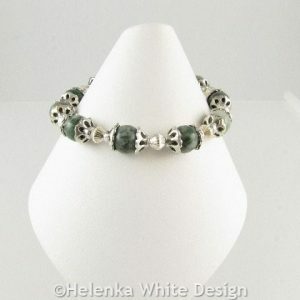 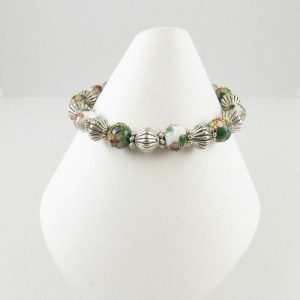 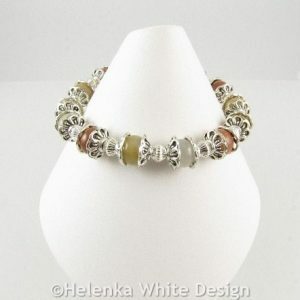 It is handcrafted with polymer clay, artificial silver foil, Gilder’s paste in German silver, alcohol inks and varnish. 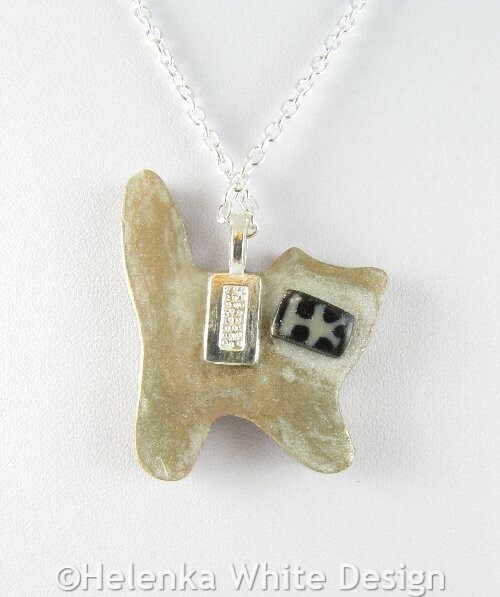 The back has a slice of my signature cane attached to it. 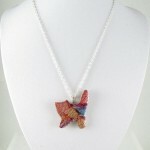 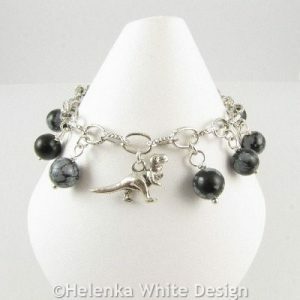 It hangs on a silver plated chain, which closes with a silver plated lobster clasp. 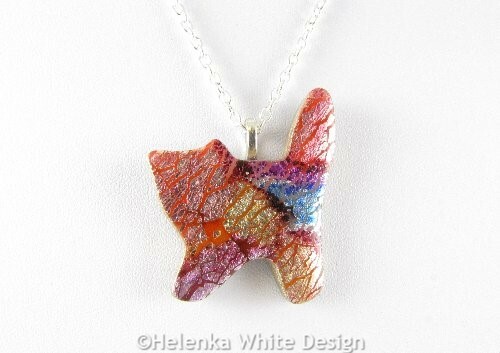 The cat measures about 4cm from tail to paws and 3,5cm from ear to tail.